The Savannah Center for the Blind and Low Vision recognized Mr. O.C. Welch, August 27th at O.C. Welch Ford-Lincoln at 4920 Independence Blvd, Hardeeville, SC for his donation of a full size van to aid the Center in transporting students. 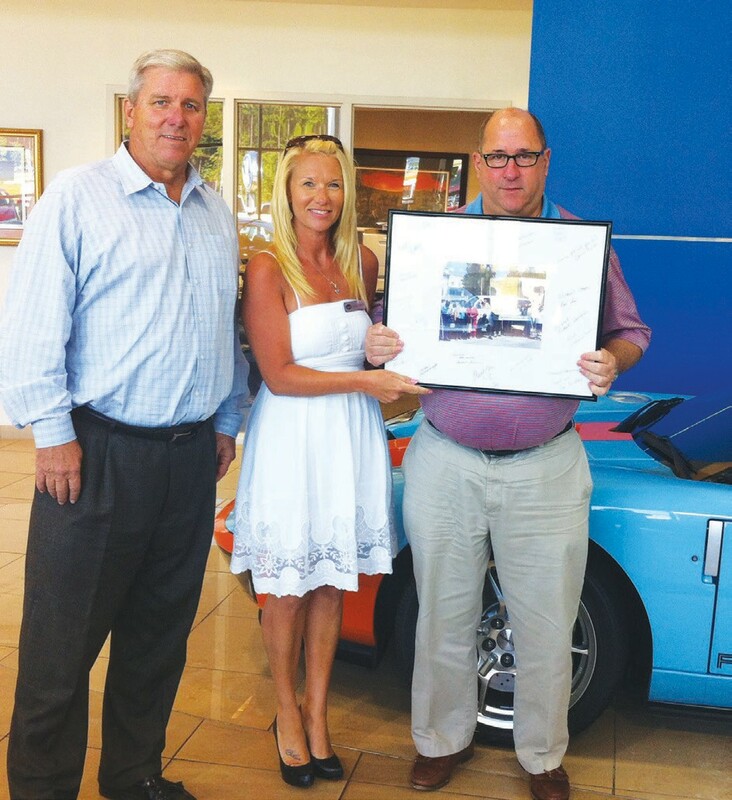 Don Jones, Board Member and Leslie Eatherly, Director of Development with the Center honored Mr. Welch with a signed, framed photo of the van and students whose lives have already been affected by the donation. The Savannah Center for Blind and Low Vision is Southeast Georgia’s fully accredited, community facility providing rehabilitation services for individuals of all ages who are blind or visually impaired. Since 1963, the Center has grown to serve as a model of innovative services throughout 29 counties in the southeast portion of the state. The mission of the Center is to offer comprehensive services to promote independence with dignity and confidence for those who are blind or visually impaired. All services are customized to meet the individual’s personal goals toward adjustment for vision loss. The Center operates on grants, donations, and support from the community. To learn more about us…visit our website: www.SavannahCBLV.org .